Granted there is a lot of background noise…but it’s the first time we hear the 12fps shutter sound in all it’s glory! 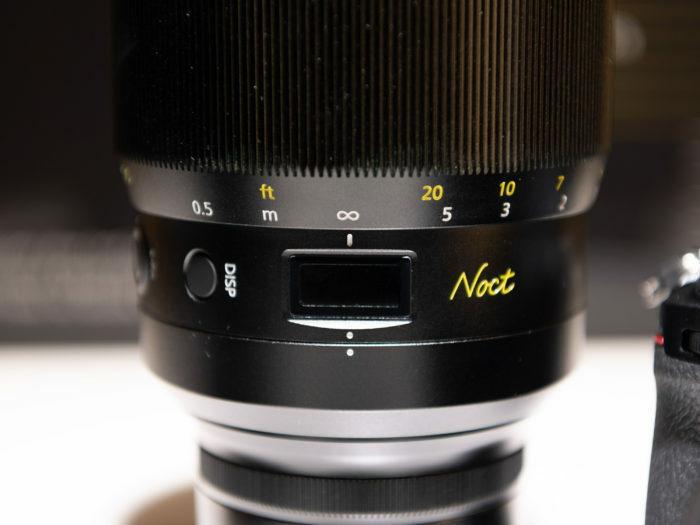 As you can hopefully tell, though, the Noct is massive and the 24-70mm F2.8 – while not quite as enormous – looks like it will also be a pretty beefy lens when it’s released next year, dwarfing the compact 24-70mm F4 kit lens. 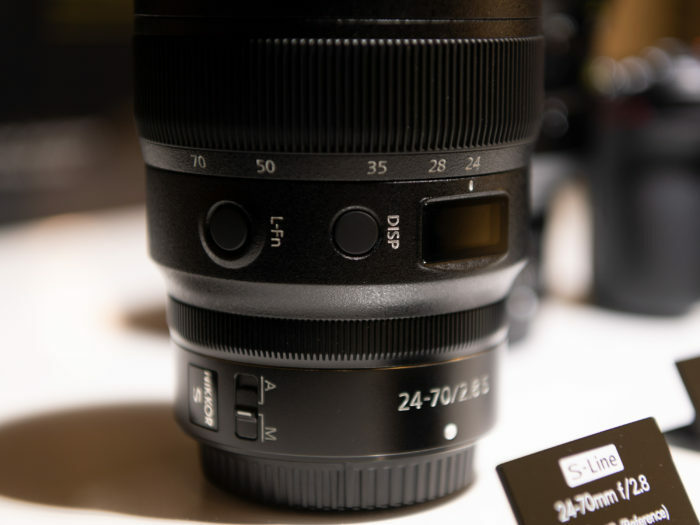 The 14-30mm (shown mounted on a Z 7) on the other hand is fairly compact, which we know is one of the technical advantages of a very short flange-back distance. 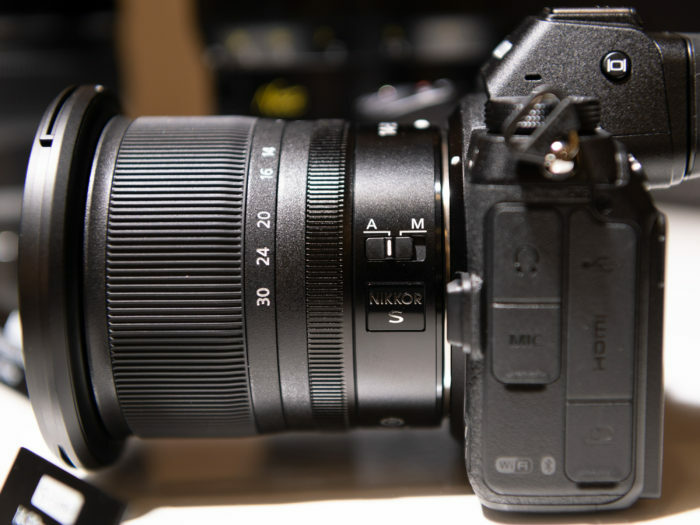 At todays Z presentation in Tokyo Nikon suggested the new 58mm f/0,95 price will be around $6,000. Here is a size comparison I made using the CameraSize.com tool. 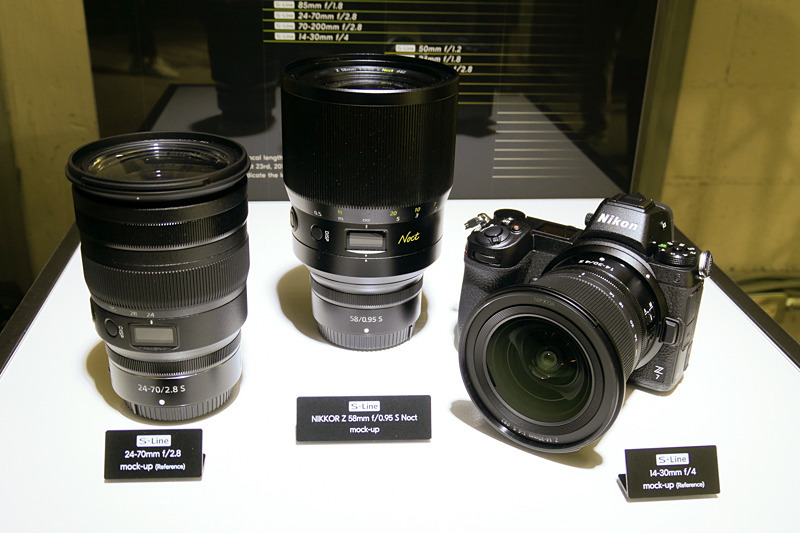 From left to right you can see the new Nikon 24-70mm Z lens, the Noct 58mm f/0,95 and the Zeiss 50mm f/1.4. Below there is one more comparison with the Nocturnus 50mm f/0,95 FE lens. 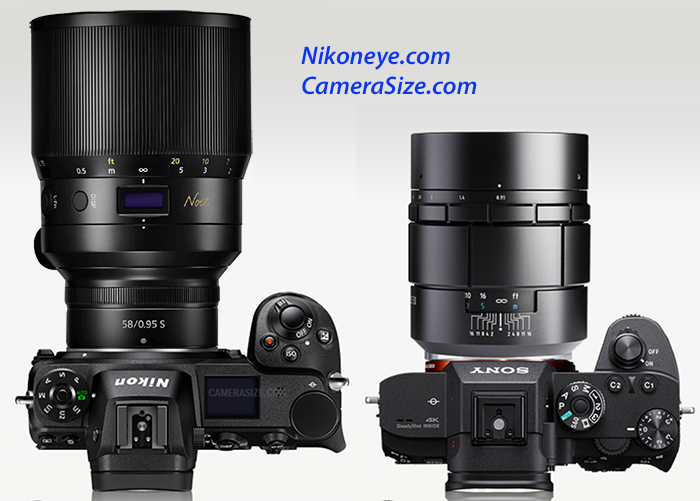 Now that we got the leaked Nikon Z7-Z6 images we can do some comparisons with current mirrorless cameras. Those are not 100% accurate size comparisons. It should be damn close though. Join us here on August 23 at JST 01:00 p.m. [GMT +09:00] for the Nikon Z live streaming announcement! Join our Nikon mirrorless facebook group!!! Poke Fun: Matt Granger tests the Nikon’s Full Frame DSLR Killer! Will Nikon’s mirrorless entrance be the end for some of the other “smaller” mirrorless companies?